Lots of computer users think that they need to reinstall the system after forgetting the password to log into computer. Actually that's not the only way to help you out. The easiest and fastest way is to reset Windows XP password. It also can save you hundreds of dollars if you don't have a Windows installation disk and need to purchase one for it. Forgot Windows XP password and you haven't created a Windows XP password reset disk previously? 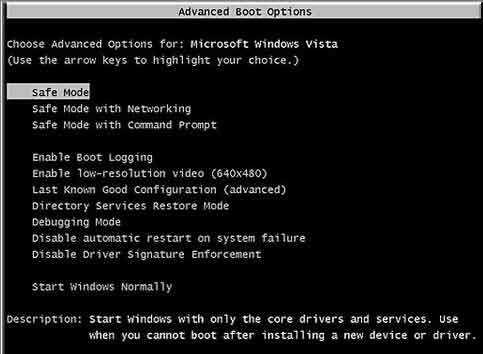 The tutorial walks you through the procedures to reset forgotten Windows XP administrator password using Command Prompt, Safe Mode and bootable CD/USB disk. If you could log in with another administrator account, you can open the Command Prompt and reset your forgotten password easily. For example, if I want to change my account which is Jack to password 123, I would type in net user jack 123 and press Enter. In every installation of Windows XP, there is a built-in and default account named Administrator, which is equivalent to super user or root in Unix/Linux system. By default, the default Administrator account has no password. However, if you've set up another user account, the Administrator account will be hidden from the logon screen. Boot into Safe Mode. Repeatedly press F8 key while turning on your computer, until you see the Advanced Boot Options screen. Choose Safe Mode and press Enter. You can then see the default Administrator account displayed at the logon screen. Boot your computer normally. When you get to the Windows XP Welcome screen, simply press Ctrl + Alt + Del twice. You will be presented with a traditional logon screen. 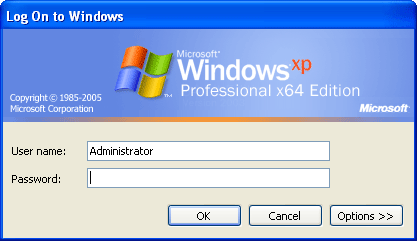 Type in Administrator into the username box and click OK.
After logging into the default Administrator account, open the Control Panel and you can reset Windows XP password for any user account. If that doesn't work, you need to use a Windows XP password reset bootable CD. PCUnlocker is a bootable CD that can help you reset Windows XP administrator password easily when you forgot it. 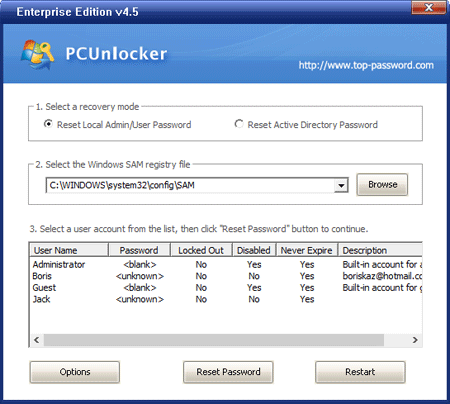 PCUnlocker can run directly from either a CD or a USB drive (no installation required), and bypass or reset your forgotten password without data loss. Use your current PC to download the self-extracting ZIP archive of PCUnlocker. Unzip it and burn the resulting .ISO file to an empty CD (or USB flash drive) using the freeware ISO2Disc. Boot your Windows XP computer from the burned CD. Wait until the boot process is finished, you'll see the main window of the PCUnlocker utility. Select the administrator account from the list, and click the Reset Password button. It will fix the most common account access issues and reset Windows XP password immediately. Reboot without the CD and you can login without password! 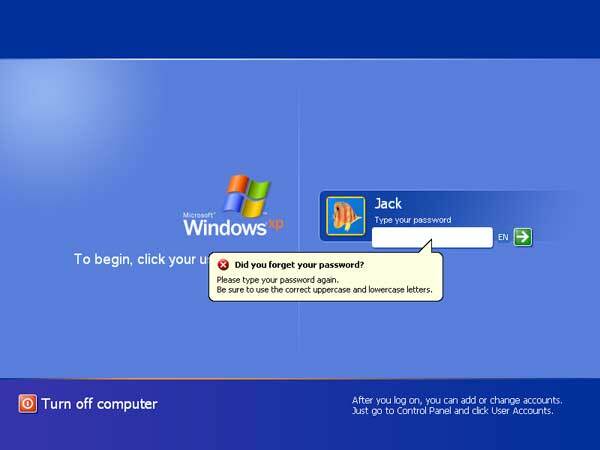 If you want to bypass Windows XP password without resetting it, just click the Options button and select Bypass Windows Password. Reboot without the CD, you can then log into Windows XP once with any password. If you have a need, you can set a new password for your computer after getting into Windows XP system, but do set one that you can remember. Keep the Windows XP password reset bootable CD in a safe place in case you need it in future.